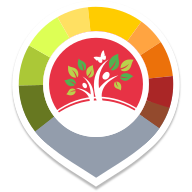 Naturkalender is the Austrian phenology App for interested Citizen Scientists who want to contribute to phenology and climate research by keeping a watch on their surroundings. Through Community Science observations like plants beginning to blossom, having fruits, starting to throw off leaves or when animals are active, they support the Austrian Central Institution for Metreorology and Geodynamics´ data collection. Street Art is a community built street art atlas. Through the app people who are interested in Street Art can put street art they discover in their own city or while travelling on a map and help other like minded people find what they are looking for in their hometown or while on a trip. At the same time they contribute to a street art database. Global 2000's "LitterBug" Project is an initiative of the independent Austrian environmental organization GLOBAL 2000 alongside the Austrian Alpine Association "Edelweiss" and Alpine Club Mountain Club. The initiative was created to free nature from trash and to sharpen our awareness for the trash surrounding us in nature. The aim is to support a sustainably clean environment everywhere. 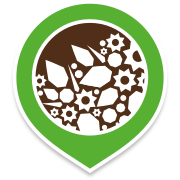 WaldrApp is a Citizen Science project from the University of Vienna aiming to collect ecologic Information on the whereabouts of Waldrapps. Since waldrapps are among the most endangered bird species, the data collection through the app can help gain important data for future settling projects. Feel free to join and contribute to this Citizen Observatory! Pilzfinder is the web-app of the mycology research society of the University of Vienna. In the browser based project, you can contribute mushroom observations from all across Europe and get feedback from the expert of the Austrian Mycology Society. By joining this Citizen Science project, you can help with the science behind fungis and learn more about the fascinating world of mushrooms. 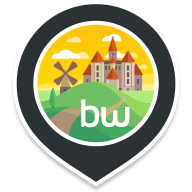 Landauf, LandApp BW is a interactive data collection project by LEO BW and the National Archive of Baden-Würtemberg in Germany, EU. The Citizen Science app is focussed on contributions about landmarks and historical buildings in the area. The project is including local communities and gather their knowledge about their own regions. Who else would you ask about the people's own heritage then the people themselves? The "Stjärnförsöket" (Star-Spotting) project collects contributions about light pollution in Sweden and in partner countries. By pointing a cardboard tube in all cardinal directions Citizen Scientists record how many stars they see on their current location. 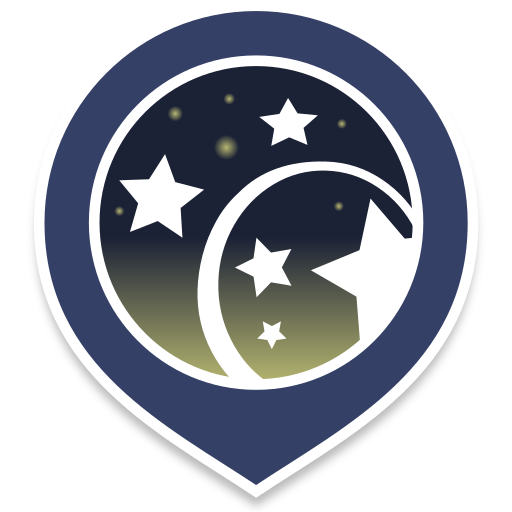 By that values, the light pollution can be calculated directy in the Citizen Science app. The project is part of the "Forskar Fredag 2019" initative, funded by the EU Horizon 2020 program. BRUSHTURKEYS is a citizen science project aiming to gather sightings of, and behavioural information on, the Australian Brush-turkey, a native species spreading into suburban areas of Australia. This project is coordinated by The University of Sydney, in collaboration with the Royal Botanic Garden Sydney and Taronga Conservation Society. In collaboration with the institue for transport at the University of Life Sciences, Vienna, this Citizen Science App was especially made for kids and teenagers. The Community Science project aspires to better understand how they perceive and rate possible dangers and their surroundings in general. "Forschen im Almtal" is the app for a Citizen Science project of the University of Vienna in collaboration with the wildlife park in Grünau in Austria's Almtal. Visitors of the Wildlife park can become Citizen Scientists and observe three bird species (grey goose, raven and waldrapp) and help collect data on their behaviour in the Citizen Science App 'Forschen im Almtal'. Nature seems to be on a rollercoaster ride these days. Sometimes there's spring in the middle of winter, then there are cold spells over and over again when it's almost summer. This is why nature- and climate researchers need more and more information about when plants begin to blossom, have fruits or start throwing off leaves or when animals are active. Entries in the ‚Nature‘s Calendar‘ App support the Austrian ZAMG's data collection. Nature's Calendar Upper Austria is a regional Nature's Calendar project, which also collects data for the Central Institution for Meteorology and Geodynamics (ZAMG). The data collected can be observed in nature and compared over years, so it's observations like plants starting to blossom, trees yielding fruit or throwing off leaves or animals being active that support scientific research in this project. Nature's Calendar Styria also is a regional Nature's Calendar project which also aims to observe nature with the help of attentive Citizen Scientists. They support nature- and climate research with observations of when plants begin to blossom, trees produce fruit or start throwing off leaves or when animals are active. The collected data also goes into the data collection of the Austrian ZAMG (Central Institution for Meteorology and Geodynamics). 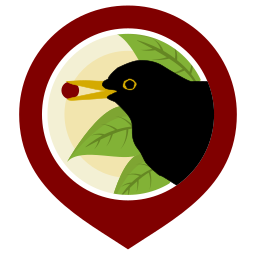 With this Citizen Science app, it's possible to contribute to the Community Science project "Fägelbär“ (english: Birdberry) by reporting observations of birds eating berries. Researchers from the Department of Ecology, Environmental and Botany at the University of Stockholm collect the data in order to better understand which birds feed on which berries, how they are involved in spreading plants and to gain knowledge about landscaping and consequences of a warmer climate. While visiting Abisko it's possible to participate in the research project concerning climate change effects in the Arctic and in the Swedish mountains. Interested Citizen Scientists can enter their observations of the mountain slope Nuolja/Njullà in ”fenologislinga” ("science path") and thereby contribute to this Citizen Observatory. The Citizen Science project Anslagstavlan ("Public boards") collects images from bulletin boards around the world. By taking pictures of messages and describing them you contribute to the scientific research on communication of a collaborated Community Science project among the University of Gothenburg, the University of Stockholm and the European Researchers‘ Night. Also you are sharing a piece of culture with peers around the world. For the Viennese Elections 2015 the project WEVO was running as a participatory tool with the integration of citizen feedback to politics. Citizens were able to post observations about the daily life in the city of Vienna, categorize and rate their sightings and automatically submit these observations to the various parties available for election. This community project aims to show the surveillance apparatus we are constantly being watched by. Through their entries the users can collect data on surveillance technology in their surroundings and also raise awareness of the densness of surveillance surrounding citizens in their day to day lives. The Top Citizen Science Projekt „Gemeinsam fahren wir besser“ (approx: We drive better together) of the Center for Human Computer Interaction at the University of Salzburg aims to collect data on driver assistance systems in collaboration with Austrian drivers via the Community Science App GeFaBe. The goal is to highlight shortcomings and security holes but also good practice in driver assistance systems.